Last stars of the year; with dark sage greens. Our guild also had our annual Jamboree earlier today, with each team responsible for sewing together a top from 6 1/2" HSTs donated by our members all year. 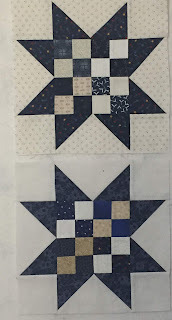 As a team leader, I chose one of my patterns, "Stars Over Scott", with my assigned colors of medium to dark greens with a few pinks. 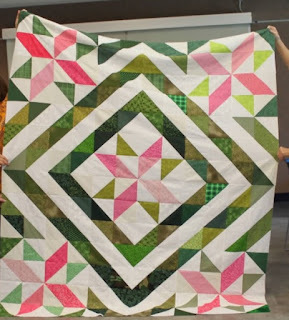 In about 2 1/2 hours we had a completed top - which also fits into our October Rainbow Challenge of dark/sage green. Your Stars over Scott is beautiful!! 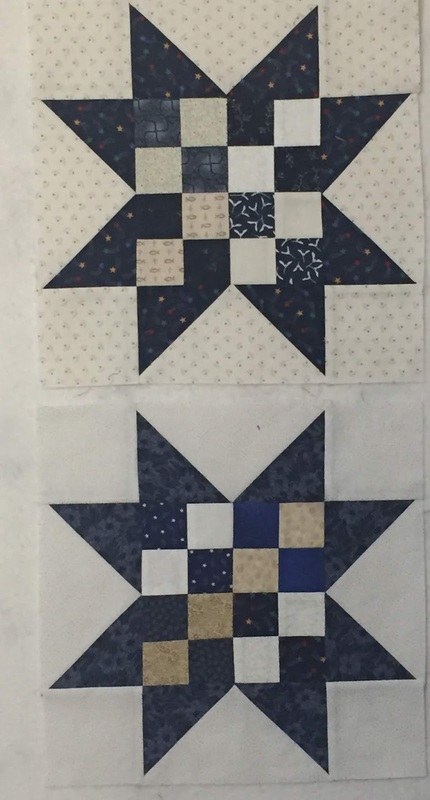 Beautiful stars quilt! Pink and green is one of my favorite color combinations. It always looks so cheery. 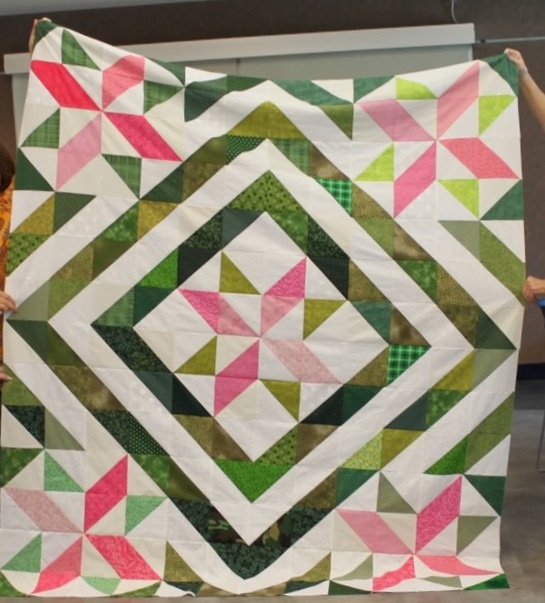 Gorgeous, cheery quilt! That’s a real eye-catcher! Love those sage green stars. Fun pattern.